Nowadays its Google-Google everywhere. I mean, seriously what’s the thing in which Google is not good at? First of all, Google is the most famous search engine in the world. And again with Android, Google brought revolutionary changes in the Operating System. Android is most popular Operating system among smartphone users. Android is used not only in smartphones but also it is used in Tablets, TVs, and etc. 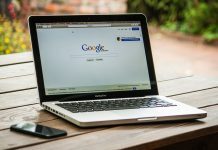 Now, Google is expanding more with digital payment app in India. The app is called as Tez. This app could be one more billion users initiative by Google. Tez is based on Unified Payment Interface, mostly known as UPI. It’s a comparatively bigger app in size than other digital payment apps like BHIM, Paytm, PhonePe, etc. On Android, where other apps size varies from 2 MB to 5 MB, Tez app’s size is about 8 MB. While, on the iOS size of this app is about 55 MB. With Tez app, you can transfer money to your friend’s account within minutes. The only thing which you need to do is to link your bank account with this Tez app over UPI. As this app is made by so no need to worry about security while making payments. 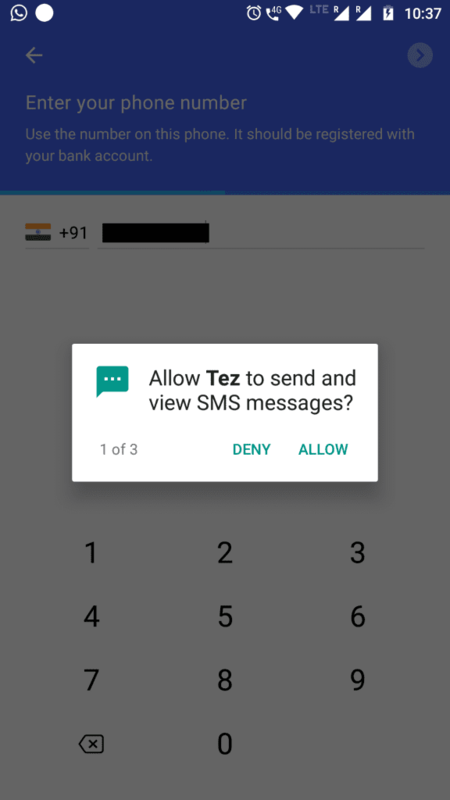 Google says this app is protected by multilayer security and it’s 24/7 Tez shield allows you to transfer any amount big or small without any risk. 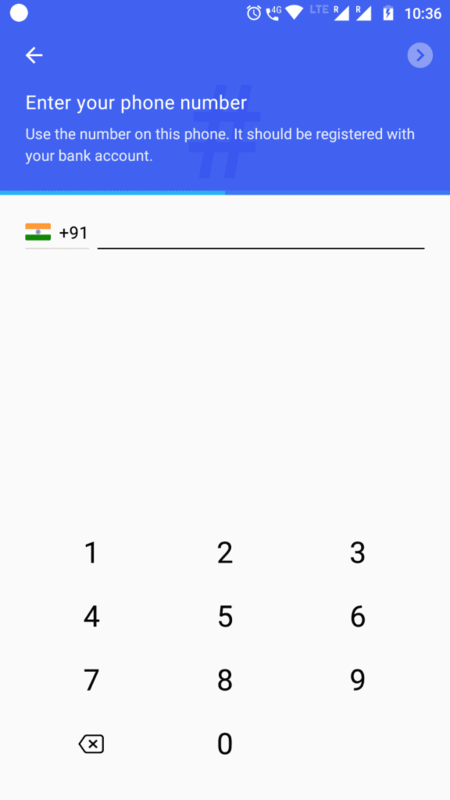 Another cool feature of this app is you can receive payment from anyone nearby without even sharing your personal details such as your phone number or bank details. But how, you ask? The answer is with Tez cash mode. You get this feature on the starting page itself of this app. 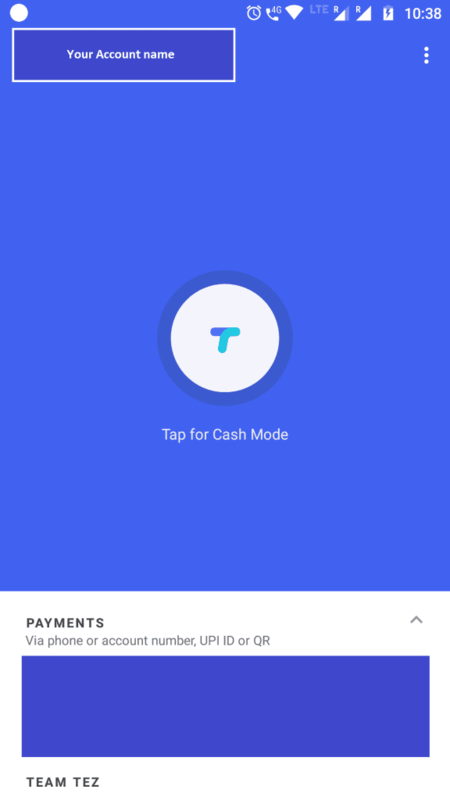 Simply tap on Cash Mode button. And swipe up if you want to pay someone and swipe down if you want to receive payment. One of such offer which is famous for most of the apps nowadays is ‘Refer and Earn’. Once you install this app in your smartphone you can invite your friends or family members to install this app. Your friends or family members must install the app from the invitation link which you sent through this app. Now, whenever your friends or family members make their first payment both of you gets cashback of Rs. 51. Note that you will get offer money only when your friends or family members make their first transaction. Much more such offers are available for this app. 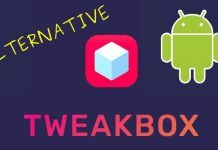 Once you download this app you will explore more things about this app. Once you installed and opened this app, this app will ask you to select a language. 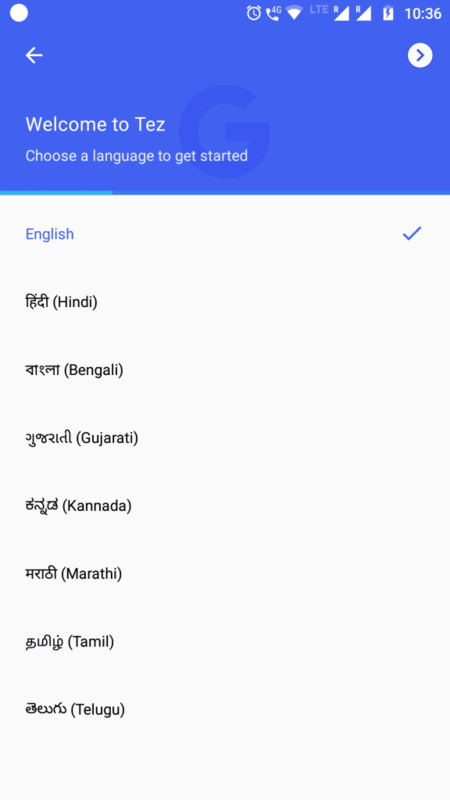 This app consists of many Indian languages. After selecting the language you have to enter your mobile phone number which is linked to your bank account. Your mobile number will be verified with OTP sent to your number. Allow whatever the permissions asked by this app for its proper functioning. 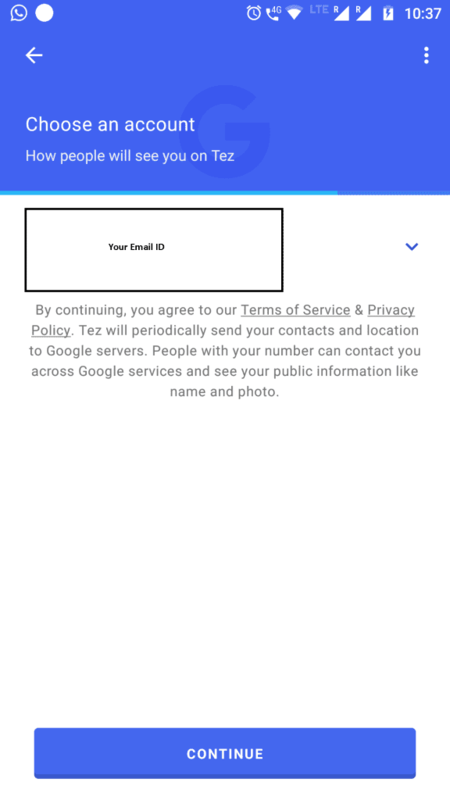 Next step is you have to sign into your Google account. 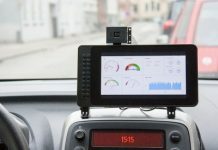 Now it’s time to secure your app. 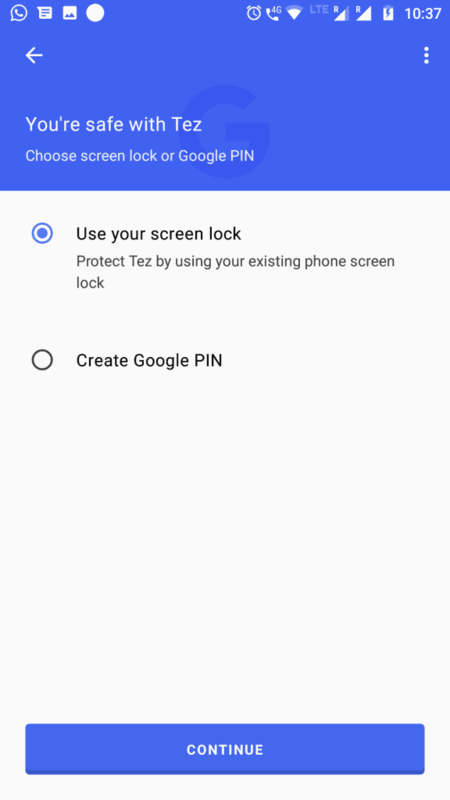 You can use your existing lock pattern/fingerprint of your phone or you can set new Google pin. Select a bank with which your mobile number is linked. If you already have UPI enabled you can use it or else this app will guide you to create new UPI account. Now to transfer and receive payment from anyone nearby you can simply turn on ‘Cash Mode’. And swipe up to pay and swipe down to receive. You can even use QR code to make transactions. Also, transfer money using bank details or UPI pin.